Offering you a complete choice of products which include rosuvastatin tablets and cardiovascular drug. 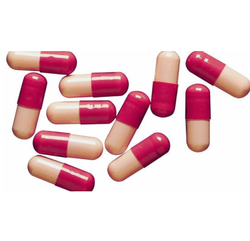 We are known for manufacturing, supplying and exporting Rosuvastatin Tablets. These tablets come in the class of statins and are used in strict combination with exercise, weight-loss and diet. Offered tablets are used for preventing cardiovascular disease which may occur due to high cholesterol and allied condition. These tablets are safe to consume and make no side effect to body. We pack these Rosuvastatin Tablets in premium packing for ensuring safe transit. We are one of the renounced companies in exporting and supplying high quality of Cardiovascular Drug. These Cardiovascular Products are manufactured using the premium quality of Herbs which ensure to cure the disease.